Welcome. My name is Robyn, and I created dirt.water.sky to share my projects. I write about gardening, home improvement, crafting, sewing, and animals. Often, these subjects expand into physical health, mental well-being, and the ways in which I find happiness and satisfaction through nature and the outdoors. Growing up, my mom was a persistent gardener, but there was one patch of yard in day-long sun with tough soil that she gave me, alone, to manage. The water hose barely reached that corner, but I managed to grow a few scraggly plants, including a life-long favorite: gaura. 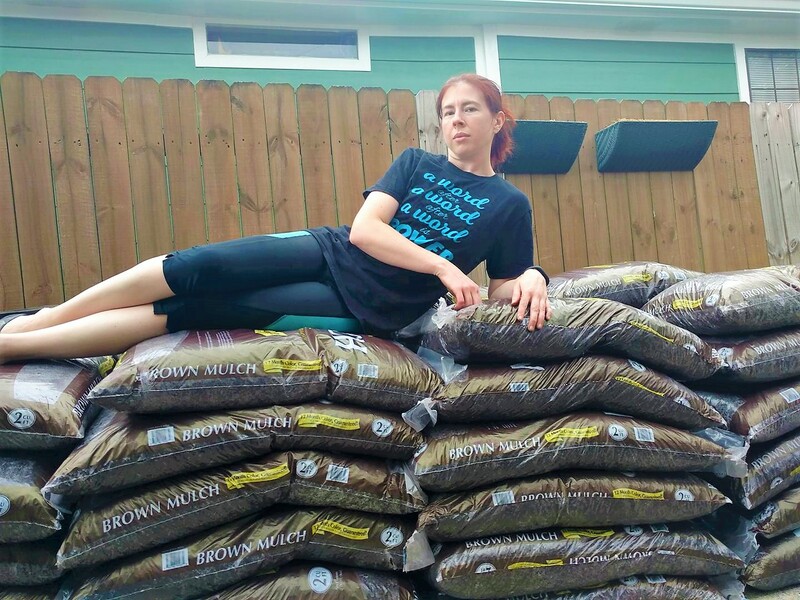 I moved to south Louisiana in 2012 and bought my own house with pint-sized front and back yards. The following spring, I raised my first batch of chicks (my mom had always talked about getting chickens). A few years later, my ducklings arrived. All the while, I was building coops and benches and gardens. And yes, I have plenty of gaura. Although I occasionally have helpers, most of the projects are done with my hands alone. I’m stubborn and independent. Therefore, this journal includes considerations for other women who want to build, dig, or grow on their own. It’s not easy, but that’s not why we sweat and haul until our muscles tremble, right? 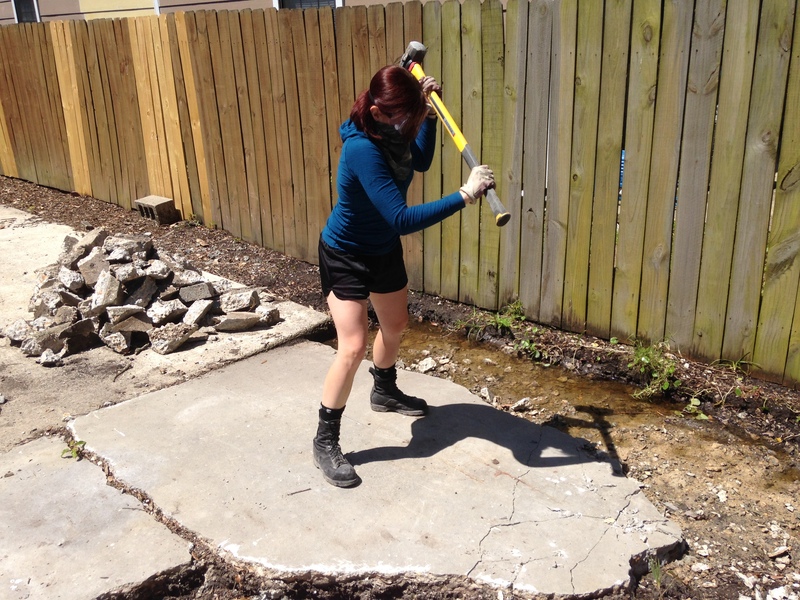 Pictured here: trembling muscles and stubbornness breaking apart an old concrete pad. Unless otherwise noted, photos and content were created and are owned by me.